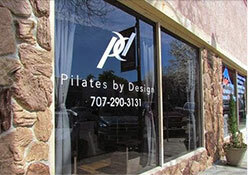 Lindsey first discovered her love for Pilates as a student of Pilates by Design in 2010. With a background in dance, Pilates was intuitive and in sync with her personal style of exercise and appreciates how her own Pilates practice has transformed her core strength, joint mobility and mind/body connection. Feeling the change in her own body fuels her passion to help others experience the same benefits of Pilates. Lindsey completed her BASI FIT Certification in Mat and Reformer in 2014 in addition to Balanced Body Barre and continues to mentor under owner Jeni Ivovic. When Lindsey isn’t working or practicing in the studio, she expresses her creativity as a local hairstylist. The details and artistry developed in her career as a stylist have been complimentary to her journey as a Pilates instructor. Lindsey loves working with people and feels fortunate to help them connect with their beauty and strength, inside and out.